The Continental United States will be host to an unusual event in the summer of 2017: A total solar eclipse. On August 21st, 2017 the Moon’s shadow will trace a path from Oregon to South Carolina blanketing viewers into darkness for 2-3 minutes. Bright planets and stars normally hidden by the Sun will make a brief appearance as the Moon passes between the Earth and the Sun. This will be, in fact, the first total solar eclipse to be seen in the continental United States since 1979. The rarity of this event in the Continental US provides a unique opportunity to teach students about the science of the Earth-Sun-Moon relationship with a stunning example that can be experienced firsthand. What better time to share this remarkable and infrequent experience with students everywhere? Let's now jump into the details of the competition! Level One: For reference, here are the PSEEC unit description outline and How your unit description will be assessed files should you need them. Milestone 1 (5-18-2016): Outlines of the 3-5 lesson plans that you will be submitting. Milestone 2 (5-27-2016): Final date for supply/equipment purchase submissions. Milestone 3 (6-3-2016): 3-5 drafts of your lesson plans must be submitted by this date. Milestone 4 (6-17-2016): 3-5 complete lesson plans must be submitted by this date (which will be made available to to educators via eclipse ballooning website). 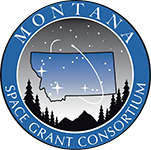 Level Three: With all the milestones of Level 2 met, on June 22nd, 2016 the semi-finalists will be flown to Bozeman, MT and will have the opportunity to present their unit of study to a panel of judges (encompassed by faculty and graduate students in the fields of physics education and education) at Montana State University. Semi-finalists will have a 45 minute time slot for your presentation/activity. The presentations do not need to be structured any specific way. Should the semifinalist prefer to do an interactive lesson, presentation or both, the task will be to best demonstrate the units' excellence as best seen fit. Be creative, this is a chance to try something new and fun! Following the presentations on the second day we will have a group dinner. The four finalists will be notified by email within 5 days after the presentations with information about the KSC trip. All the details for the semi-finalist trip will be added here. Level Four: Four finalists will be selected from the semi-finalists and will be awarded a trip Kennedy Space Center! During the time between the semi-finalist presentations and the KSC trip, the finalists may have an opportunity to work with NASA education on accrediting their unit and may be added to the NASA education page. Finally, on July 24th (date tentative) the four finalists (along with their mentor/advisor or teammate) will travel to Orlando, FL with two MSGC affiliates. Here the finalists will have three days to explore KSC and the surrounding area! Details of the KSC trip can be found by clicking here. It is strongly encouraged that you work with a mentor/advisor who can provide guidance in construction of the unit, although the lesson plan submissions and final presentation must of the pre-service educators own work. Collaboration is encouraged. Should you want to work as a team,the project can support teams of two students. Should a team of two be selected as 'semifinalists,' that team would receive funding up to $100 for supplies/equipment and would have to select one representative to present in Bozeman, Montana. Should a team of two be selected as 'finalists,' both participants would be welcome on the KSC trip in place of a mentor/advisor. Keep in mind that students may ask you questions that you may not have an answer to. It cannot be emphasized enough that, "I don't know," is a perfectly suitable answer. The journey to finding the answer is just as important, if not more so, than the answer itself. That being said, scientific inaccuracies or factually incorrect statements within your unit description submission or presentation will hamper your your chances to move forward within the competition. If you have any questions or need help clarifying anything science related please do not hesitate to contact us. ** You have two choices when purchasing supplies. You can purchase them and submit receipts for reimbursement or contact us with a list of all needed items and they will be purchased and shipped directly to you.